Karl-Franzens-Universität Graz, or the University of Graz, is a public university in Austria. 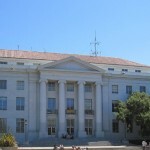 It is the county’s second oldest and second largest university. It was founded by Archduke Charles II of Austria in 1585, making it the city of Graz’s oldest university. 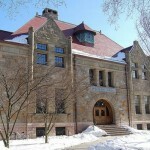 Throughout its history, the University has mostly been under the control of the Catholic Church. Emperor Joseph II closed the University in 1782 in an attempt to make the state gain control over educational institutions. The Emperor transformed the school into a lyceum where medical personnel and civil servants were trained. Emperor Francis I re-instituted it into a university, therefore gaining its present name which literally means Charles Francis University. It gained a full university status in 1863, which was also the year when the Faculty of Medicine was established. In 2004, during reform in the university, the Faculty of Medicine became an autonomous university. The sixth and last faculty, the Faculty of Environmental and Regional Sciences and Education was established in 2007. The University of Graz has six faculties divided into the faculties of Catholic Theology, Law, Arts and Humanities, Environmental and Regional Sciences and Education, Social and Economic Sciences, and Natural Sciences. Each faculty is divided into institutes or departments. Some faculties have post-graduate and doctoral schools as well as research centres. Ludwig Boltsmann, who developed the statistical theory of heat, had twice been a professor in the University. Otto Loewi, a Nobel laureate, had also taught in the University. Nobel Prize winner Victor Franz Hess graduated and had taught at the University of Graz. Erwin Schrödinger, who was responsible for creating the Schrödinger Equations, had briefly headed the University in 1936. Other Nobel Prize laureates who had taught or studied in the University include chemists Walter Nernst and Fritz Pregl; writer Ivo Andric; and medical researchers Julius Wagner von Jauregg, Gerty Cori and Karl von Frisch. Other Austrian universities that are ranked highly in the world include the University of Vienna, University of Innsbruck, Vienna University of Technology, Innsbruck Medical University, and Medical University of Graz.